Search Engine Optimization Strategies for the Common Man. Get Web Site Traffic. Earn From Adsense. Find New Revenue Streams. We of course have negotiated rates with UPS, and those also have brokerage fees for the imporation to Canada. Amazon has a tool that will let you gross up your listings for the Canada market, but how much is the right amount. Our US products range from US$10 to US$250. Convert pricing for an Amazon.COM FBA Listing to an Amazon.CA FBA listing: An FBA listing in the US, that will be an FBA listing in Canada, always came out 35.X% higher in Canada. This considers the currency, tax, importations. We are using 35% as the rule. Convert pricing for an Amazon.COM FBM Listing to an Amazon.CA FBM listing: An FBA listing in the US, that will be an FBA listing in Canada, always came out 48% to 50% higher in Canada. This considers the currency, tax, importations. We are using 50% as the rule. Convert pricing for an Amazon.COM FBA Listing to an Amazon.CA FBM listing: An FBA listing in the US, that will be an FBA listing in Canada, always came out 52% higher in Canada. In this case these listings were all priced at about $100-$150. When we do the same analysis with our $20 items it is in the range of 63%. This all makes sense as the difference in shipping rates is significant and varies by product weight. 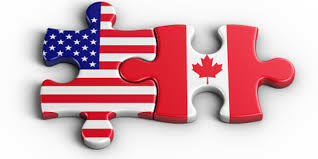 As far as computing the shipping rates from the US to Canada, this is also an area where our team has put in significant amounts of time. Based on our UPS rates, we are using the Amazon.CA shipping calculator. Based on our UPS shipping rates we have calculated a base rate of CAD $28.50 per shipment + CAD$3.30 per KILO. Auto Return for Website Payments brings your buyers back to your website immediately after payment completion. Auto Return applies to PayPal Website Payments, including Buy Now, Donations, Subscriptions, and Shopping Cart. Cut and paste the line above into Paypal's site, and substitute the name of yourwebsite.com. 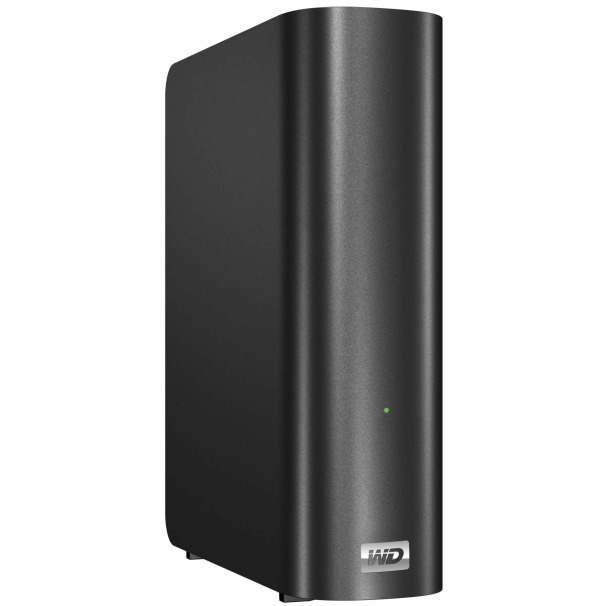 Software is not required to Logon to your MyBook Live Western Digital Hard Drive. The user interface is online and the IP is http://192.168.1.104. The website will access your local drive and allow for setting modification the same as having a local software application. Consequently, our drive failed in less than six months. Its suggested that you do not register the drive with Western Digital. The technical support is only free for 30 days from purchase (or registration). Save your 30 days for when you have a problem. The technical support is out of India and the Phillipines. If you are a Spanish speaker, you will get much better support in Spanish. The company's RMA process is poorly structured with a vacuum of information through most of it, however the new drive did arrive roughly 10 days after the RMA process was complete. Look no Further. 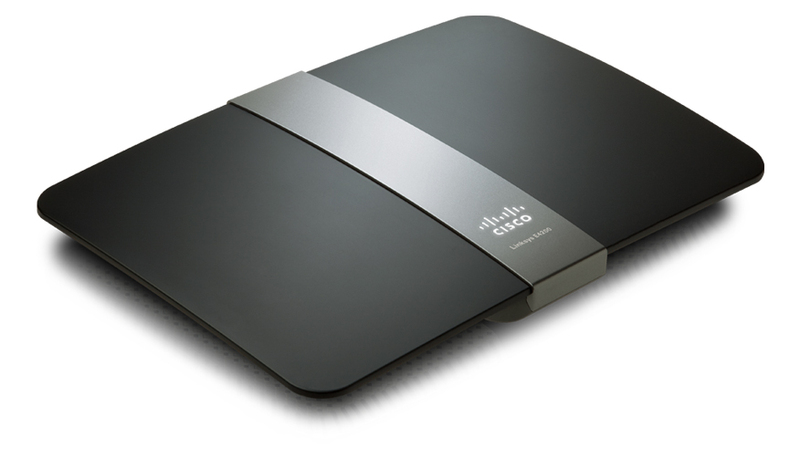 The logon IP to the Cisco E4200 Router is http://192.168.1.1. Many small businesses run into the challenge selling online and the requirements for bar codes from several online merchants. If you need UPC and or EAN codes, this may save you a bit of research. Large companies that need hundreds of bar codes are best served to get them from www.gs1us.org. In the case of small businesses, there are several options, this study has been run for a small business that needs 50 UPC Codes. www.gs1us.org - The official site for bar codes. To register my company and and get the minimum purchase block of 100 UPC codes would cost $760. www.cheap-upc-barcode.com - UPC Codes are $1.99 each and purchased in blocks of 10, 20, 50,100, and 200. No volume discounts on the site at the time of this writing. Can only get to the information buy clicking the red "BUY" logo on the right side banner on the page. Site states: Maximum 1,000 bar codes per customer. Offer valid for first purchase only and prices are a limited time promotional offer and subject to change without notice. The site does state that the bar codes are good for 8 years. Cost of 50 UPC Codes $100. We ultimately elected this company to go with and their codes do work on Amazon.Com. www.barcodestalk.com - Allows purchase of UPC or EAN codes. Allows purchase of as little as 1 bar code for $10 or up to 100,000 for pennies each. Price list found here. Cost of 50 UPC or EAN codes $167. www.barcodes4amazon.com - Pricing can be found here. Codes from this site start at $20 each and go down to $10. They say be wary of other sites with low cost UPC codes. Cost of 50 Codes would be $500. www.barcodesamerica.com - Flat fee of $8.95 per UPC bar code.Cost of 50 Codes would be $448. www.rlfoodtestinglaboratory.com - Flat rate of $10 per bar code with no volume discount. Note that at this rate for 75 bar codes, you could open your own account with www.gs1us.org and get 100. Cost of 50 Codes would be $500. www.singleupc.com - Pricelist found here. Price of codes starts at $23 each and with the max purchase of 100 goes down to $14 each. Cost of 50 Codes would be $270. http://www.fenclwebdesign.com/upc-codes.htm - $40 per bar code, no apparent volume discount. Cost of 50: $2,000. www.waspbarcode.com/Barcode_Maker/generator.aspx - free online bar code generator. Please feel free to respond to post with any comments or questions. We will be opening an account with one of these suppliers and will be glad to repost on the findings. 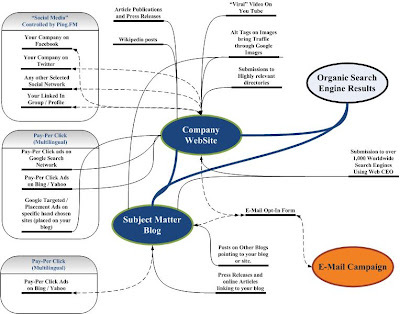 Every company should have an online marketing strategy in a diagram form such as shown above. Much of the organic search engine optomization strategies and tactics today are focused around sites that are retailing a product. Often what's required is an online marketing strategy which has an end goal of "online lead generation". In this case the goal is to create an internet traffic hub where your company site is simply "associated with" traffic buzzing around keywords which are highly relevant to the line of work. Create a second site (or group of sites) highly relevant to your companies offering which create a traffic center. The online marketing strategy is often not to bring customers directly to the site but to create an experience which is a "web" funnel. Working in such a way creates higher quality leads (as they are already filtered to ensure of their interest in the topic) and also creates multiple avenues on the Search Engine Results Page for visibility. Your online marketing strategy may be a custom tailored variation of the above. 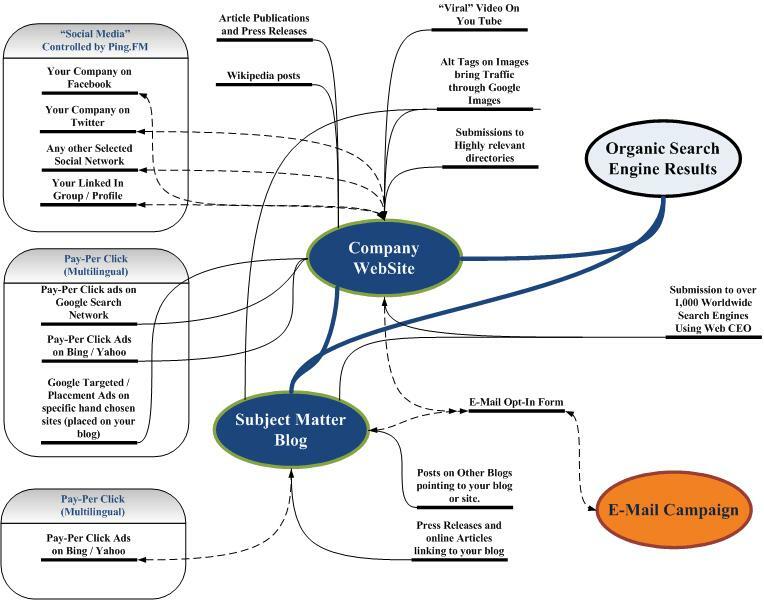 If you are leading the effort be sure to have a map (similar to the above) for your online marketing strategy. 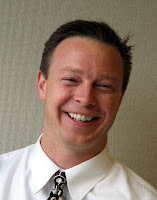 Scott Steiger is an engineer, product line manager, and business unit manager who has built, managed, and runs worldwide advertising campaigns on Google, Yahoo, and Bing, and performed Search Engine Optimization for his employer. He has developed several of his own sites. He has seen the Online Advertising world from both sides and desires to bring value to both advertisers and publishers through the information offered on this site. This blog copyright © 2009 MyWebJourney.Com. All Rights Reserved.